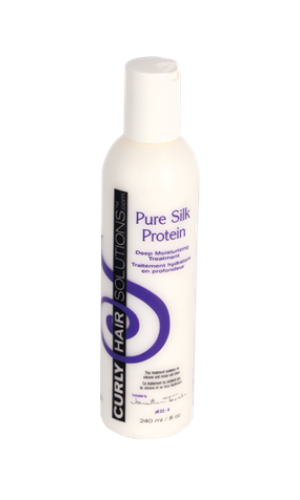 Curly Hair Solutions™ Pure Silk Protein offers an extreme concentration of silk protein that delivers the healthiest and softest hair possible by softening the roughest, driest hair. Pure Silk Protein was originally developed as an additive to further the penetration of coloring curly hair keeping the hair color looking rich and vibrant for longer. The result is a silk protein enriched conditioner that dramatically reduces color fading.